It is 1964 and the world is your oyster. 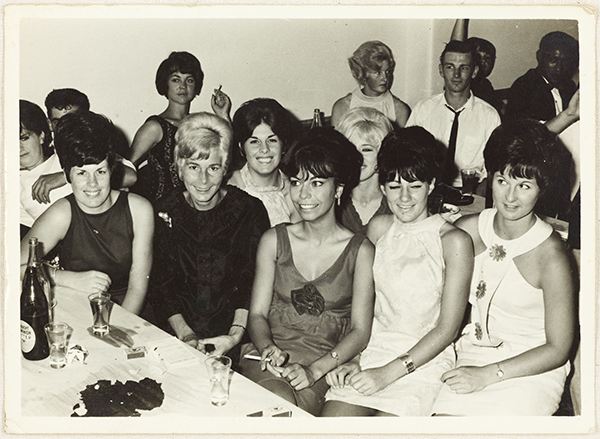 These young women are enjoying themselves at a friend’s 21st birthday party in Ōtāhuhu in 1964. With the excitement and verve of the 1960s young women stepped out into the world with different expectations and hopes than previous generations. In the years to come the momentum for change increased, many women challenged the norm, dared to be different, and in doing so created a revolution. Ref: Lew's, Birthday Party, 1964, photograph reproduced courtesy of Val Lott, South Auckland Research Centre, Auckland Libraries, Footprints 06490. You don’t own me, Lesley Gore, 1963. Traditionally a pivotal moment in the lives of men and women, turning 21 symbolised the key to the door of adulthood. These young women decked out in the latest fashion and with gorgeous hairdos, are ready to have some fun. This photograph was found amongst the incoming Beauty Pageant Collection archive material, donated by Val Lott. Val Lott can be seen in this photograph seated in the centre immediately behind the group, her twin sister Dawn, is seated at the front left. 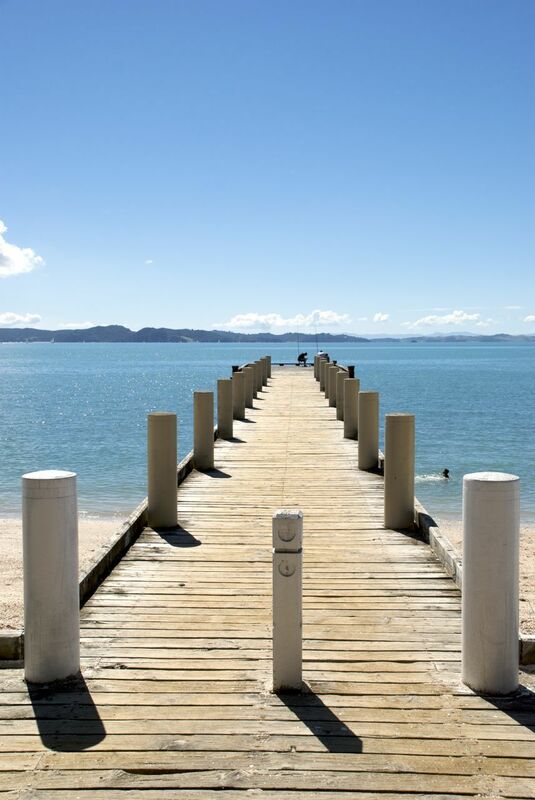 This is one of the photographs in the latest release of images in our Footprints database. 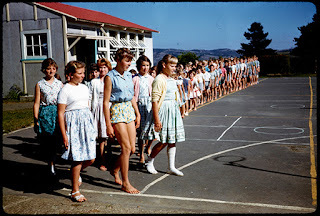 Ref: Anne Farrar, March past, Hunua School, March 1962, photograph reproduced courtesy of Ian Barton, South Auckland Research Centre, Auckland Libraries, Footprints 06302. Ian Barton kindly donated a number of images relating to the Hunua area, including the celebrations at the Hunua School Centennial and District Reunion in March 1976. Here the schoolchildren are footloose but perhaps not fancy- free as they walk back to class after break. Ref: Andrew Pettengell, View of the Tāmaki River, November 2013, South Auckland Research Centre, Auckland Libraries, Footprints 05870. 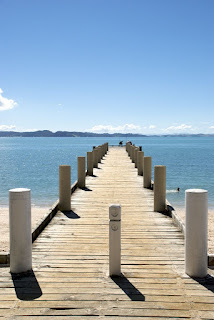 Photographer Andrew Pettengell has provided us with a wonderful range of images from his commissioned contemporary work. The subjects include historic buildings, churches and schools. A range of memorials and contemporary scenic shots complete the picture. Ref: Caroline Buchanan, Jetty, Omana Beach, 8 March 2008, South Auckland Research Centre, Auckland Libraries, Footprints 06391. Carolyn Buchanan has generously donated to us approximately 2000 contemporary images largely of the local area of which a selection has been put onto Footprints. Among these images are a range of landscape scenes with beautiful blue skies and beckoning beaches. Feel free to take a wander through the wide range of images in our collection; you may well come across some places that you have been before, if not, you may like to venture into new territory.